Like an oasis in the desert, the Lake Scott area stands out from the typical High Plains landscape of western Kansas, not only because of water, trees, and vegetation but also because of the unexpected relief here in this otherwise flat landscape. 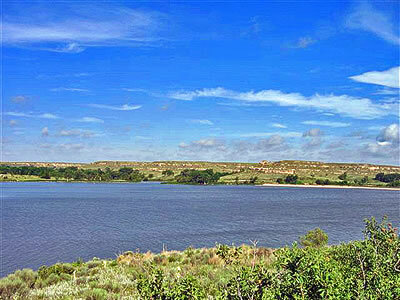 Lake Scott is situated in a valley carved into the steep bluffs of the Ogallala Formation, composed of sand and gravels that have been naturally cemented together. These rocks rim the steep canyons and draws that surround the lake. The Ogallala is a water-bearing formation in many places. 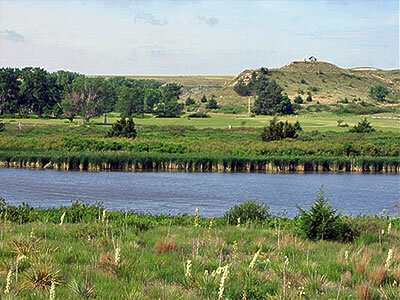 Here the Ogallala is underlain by much older Niobrara Chalk, and water flows out from this contact between the Ogallala and the Niobrara at the rate of hundreds of gallons per minute, flowing into the lake, which is also fed by Ladder Creek. Among the most important springs is Big Spring, which alone produces more than 300 gallons of water per minute, making it one of the largest springs on the Kansas High Plains. Whitetailed and mule deer are common. Beaver dams are seen along Ladder Creek. Swift foxes, with their large ears, are seen in the area. The area is also known for its large variety and number of reptiles. 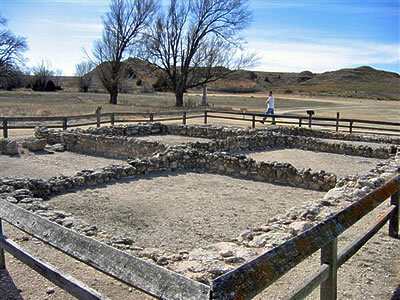 Famous sites within the park are the El Cuartelejo Pueblo Indian Ruins built in the late 1600s and the 1909 Steele Homestead made out of sandstone. Today there is camping, fishing, canoe & paddle boat rentals, and trails for hiking and horseback riding. Location: 14 miles north of Scott City on U.S. 83, then 3 miles northwest on K-95. Hours and admission charge: State park entrance charge.